“Better Call Saul” is the prequel spinoff of “Breaking Bad” focusing on Bob Odenkirk’s lawyer character Saul Goodman. Odenkirk is back along with “Breaking Bad” favorite Jonathan Banks, but a whole slew of new characters as well. We meet Saul as Jimmy McGill, but his Saul personalities are already apparent. 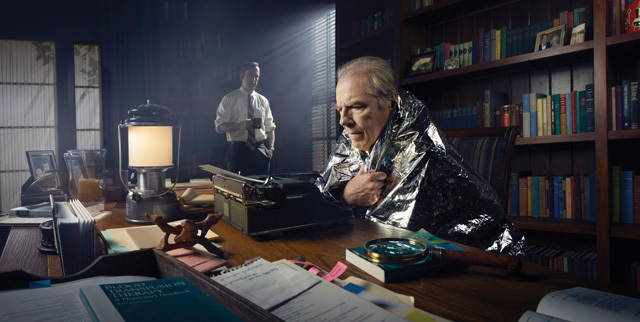 One of the new characters is Chuck McGill, Jimmy’s brother who has been ousted from his law firm due to a medical ailment. 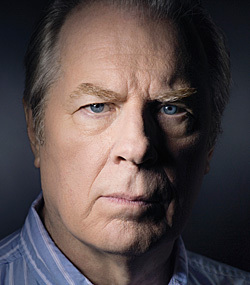 Michael McKean plays Chuck and we got to interview him one on one over lunch after the “Better Call Saul” panel for the Television Critics Association. McKean was fun, and couldn’t even resist being nice for the sake of a joke. “Better Call Saul” premieres Sunday, February 8 on AMC. McKean: Okay, this’ll be the rude interview because I’ve been so polite all morning. It’s nothing against you. It’s just I’m ready to be rude. That’s not true. I really never mastered that, the Frank Zappa interview. ComingSoon.net: Is Chuck a rude guy? McKean: No, he’s not rude. He’s got to be hurting, because he was once one of the masters of the universe. Now, it’s the universe is kind of on top of him. But, I wouldn’t say he’s a terrible person. He’s a man who is dealing with a lot of emotional conflicts and a medical condition which I won’t go into, but it is something that changes one’s social life. Put it that way. CS: But do you know with what he’s afflicted? CS: Do we find out in the first season? McKean: Yes, but you don’t find out from me in this interview. CS: No, of course, but it is something you could research that condition and know how you have to play it? McKean: Yes. You know, it’s one of those things. It’s not like, “ell, he has multiple myeloma” and you do a lot of reading about that. It’s something a little more unusual and it’s pretty strange, but it’s genuine. CS: Were there any hints about Chuck that you could pick up in the five years of Breaking Bad? McKean: No, not really. In “Breaking Bad,” we see the end result. We see the Saul Goodman that Jimmy McGill becomes, but we don’t know anything about his family connections. I can tell you this much, that Chuck is the guy who graduated from high school at 16, went right off to college. He went to law school and he was the paragon of the family. He was the one that everyone said, “Jimmy, why can’t you be more like your brother Chuck?” Nothing makes you want to be a bad boy more than your parents pointing out what a good boy your brother is. For a lot of Jimmy’s life, I’ve been helping him out. I’ve been bailing him out of jail. I’ve been trying to keep him on the straight and narrow. Now, to a certain extent, he’s the one who’s responsible for my well-being, to some extent. That’s all I’m going to say about that. CS: Do you go about creating a character in a dramatic series the same way you would a comedy character, like in a Christopher Guest movie or Spinal Tap? McKean: Yeah, I think so. I think clinically yes. The first thing you have to do as an actor is find out what your character wants. If your character doesn’t want anything, he doesn’t belong in the scene and then it’s somebody else’s problem. You really need to know what your quest is, not to go all Joseph Campbell on you, but it really is the case. We are all living according to some means. I’m talking to you right now to promote a show. There is a purpose. CS: As much as I love your work, I’m talking to you to get paid. CS: I don’t think anybody thinks they are. McKean: No, no. I worked with Helen Mirren one time in this movie called “Teaching Mrs. Tingle.” Before we shot, we had a little meeting and chat with Kevin Williamson, the director. I said, “It’s a horrible character. What do you do? How do you do that? Because you don’t wake up in the morning and say what can I do that’s evil, but your character clearly loves destroying others.” She said, “Whenever I have to do something like that, I always try and figure out what it was that was done to me to make me this way and that’s what I match evil for evil. That’s how I match up that thing. You find the hurt at the center of it.” My character is not an evil man. He’s not a hurtful man. He will destroy you if it is in the best interests of his client as any good lawyer will do. “Good lawyer,” big air quotes. I think right now, he’s dealing with this affliction which is strange enough that he might even be willing to concede that perhaps it’s something in his brain that is making him this way, or at least that is keeping him at the bottom of this well. CS: Given where he starts off on the show, sick in the house, do we get to see him at work as a lawyer? McKean: Sort of. Yes, you do. Yes, because he misses it. It’s part of his nature. I know people who were born to argue. I know people who seem like they were born to argue and it’s not a surprise when I learn that they were big on the debating team in college. It becomes a way of life. It becomes a way of dealing with people. I think lawyering is one of the ways that Chuck expresses himself and has since he went off to law school at 19. CS: Already the events that befall Saul/Jimmy are rather surreal. Does any of that surreality touch Chuck? McKean: He’s living a life that doesn’t add up and that always feels a little surreal. Yeah, I think so. Listen, it has come to my attention that all life is absurd on some level. We are all hanging like melting clocks above the landscape. We don’t know what’s going to happen, and I like it that way. CS: I’ve always wondered, since you were in Spinal Tap, were you aware of a movie called Fear of a Black Hat which was like Spinal Tap for a rap group? McKean: Yeah, yeah, yeah, sure. I think it’s a very funny movie. I’d love to see it again. It was 20 years ago.